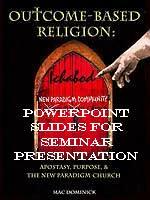 Power Point Slides From Seminar '"Outcome Based Religion: Apostasy, Purpose, and the Paradigm Shift" -- This exciting CD will show the exact powerpoint slides Mr. Dominick shows in this seminar, in the exact order in which he presents them. Thus, after you see his video, you can take these slides and prepare your own presentation! 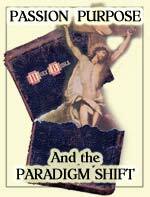 So many people want to present this material to their pastor, to deacons, and to friends. Now, you can prepare your own presentation! Mr. Dominick has prepared almost 160 colored powerpoint slides! You can modify this presentation, putting your own unique style on this most important subject.